Randomized clinical trials have generated doubts regarding the therapeutic effectiveness of spinal kyphoplasty to reduce pain and improve quality of life in patients with vertebral fractures. There is a paucity of data on the influence of kyphoplasty on spinal range of motion. To quantify early postoperative changes following kyphoplasty in spinal motion, a noninvasive, radiation-free measurement method was used and results related to clinical and radiological parameters. The study group included 30 patients with an overall number of 54 symptomatic pathological vertebral compression fractures. All patients were treated with balloon kyphoplasty. Clinical results were recorded using the visual analog scale, SF 36, Roland Morris Score and the Oswestry Disability Index, at three time points; preoperative, 2 days postoperative, and at 12 weeks postoperative. The kyphosis angle/sagittal index were determined with biplanar X-rays. Amplitude/velocity of motion in extension/flexion was measured at each time point by use of the EpionicsSPINE© system (Epionics Medical GmbH; Potsdam, Germany) using two external sensor strips. Preoperative magnetic resonance imaging scans showed bone marrow edema in all vertebral bodies indicative of a recent, non-consolidated fracture. Pain and quality of life was significantly improved by kyphoplasty, both for the immediate postoperative period, as well as at 12 weeks postoperative. Radiological parameters also showed significant improvement following surgery. Total ROM did not significantly change 2 days after kyphoplasty, but amplitude and velocity were found to be increased 12 weeks postoperatively. Significant positive correlations were observed between increased range of motion and improved clinical/radiological scores. Significant clinical and radiological improvement following kyphoplasty supports the rational for cement augmentation in patients with pathological vertebral body fractures. 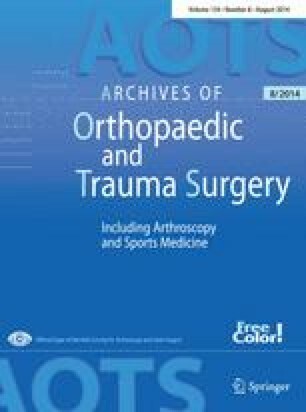 To the knowledge of the authors, no prior study has assessed the influence of preservation and improvement of spinal range of motion on clinical outcome following kyphoplasty. No funding has been received for research on which this article is based.